Written by Katie on October 16, 2017. Permalink If you like a subtle gradations of pastel hues, you're going to love the Aurora Wall Planner. 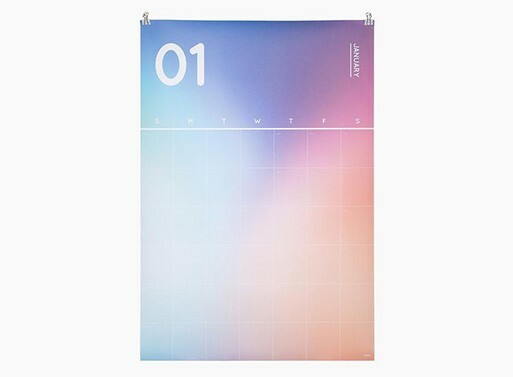 The poster-sized pages all display lovely colors fading into each other with open-dated months, so you can start your planning at any point during the year.